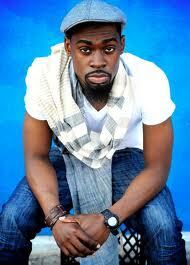 Mali Music Debuts The Job Experience on BET’ 106 and Park | holychick Be Fabulous, Be Fierce, Be You! This entry was posted on October 26, 2011 at 2:23 am and is filed under Celebrities, Music Videos with tags Akon, BET Awards, Black Entertainment Television, Itunes, Mali Music, Music video, The Job Experience. You can follow any responses to this entry through the RSS 2.0 feed. Both comments and pings are currently closed. I don’t think you are overreacting at all. I was so upset yesterday when I saw that he signed with Akon. And for him to say that “his music is bigger than gospel”, I’m done. I get it, its not the norm and his music doesn’t sound like anything else out there, but to say that he is bigger than gospel, horrible. From now on, Mail will get no play in my ride or my house. Thanks for the comment! Not feeling this Akon collab either. How could Akon, a man who lives a different lifestyle and has polar opposite values and beliefs than Mali Music be his mentor? Last time I checked darkness and light can’t work together; one always cancels the other out. We’ll have to see how this plays out and keep Mali in our prayers. …i just don’t think it’s that serious. I tend to think the best so maybe I’m not seeing it. How often do people “pick their words” so carefully that people don’t misconstrue them? Everything is subject to personal interpretation. Instead of praying for him as he enters this worldly industry in an attempt to rep Christ, we’re disowning him? He doesn’t get play in our cars?…He said he’s bigger than a genre, not God himself…I just think we might be looking for something to divide us. But like you said we’ll see how it plays out…but what exactly does that mean? You mean will he be cocky, will he stop reppin’ Christ, pull a Tonex/BSlade? I think if God chooses to use the finances of the wicked to fund his mission, then Amen. But as we know, it’s a challenge reppin’ Christ in Babylon (i.e. our work environment). Can you imagine how it is in Hollywood? I think this is a time to cover him with prayer. Who knows whose life he’s touching in the industry. Nice post. And thanks for the vid. I think when he says his music is bigger than gospel, he means it’s not confined to the limitations of the genre. Kind of what you said in your post. Also when you’re labeled, you’re limited so it seems he’s okay with being a gospel artist but he just wants to make music and represent Christ. I understand that being labelled does box a person in and no one wants to be limited especially not artistically, but he should have chosen his words more carefully. To say something like my music is bigger than gospel will raise eyebrows. We’ll have to see how things play out. Mail quoted (“I do believe that my music is bigger than gospel,” Mali says. “I’ll never deny the core of it, but that was just the platform that was available in the time frame that I came out, but I do believe that a new platform and a new genre is being created and built as we speak.) Mali is clearly speaking of the genre of black gospel music and its purpose to reach only a certain audience of people who are usually alraedy saved. Not the Gospel. Mali Music is a totally different artist with a ministry to take Gods message to a much larger and different audience as well as bless the church. Akon is only playing a co-manager role and he is an awesome one at that.Business is business, and many if not most christians work for unsaved bosses and managers everyday. Mali’s message is not changing, he’s still repping Christ and that should be applauded. If God wants to use Akon’s resources to provide a platform for Mali to reach millions that should be celebrated. Atleast wait and see what the end is going to be before you judge and make a mistake like Jesus own did when they crucified him. Open your eyes. He sung I hate you before millions on their platform, and played the Job Experience video. Are you kidding me! God is tearing down things and Im sorry. Its bigger. Nobody in gospel did it. I am not surprised by Mali’s comment because many artist today are operating under the genre of a “gospel artist” because it is easier to market their products. let’s just keep it real! Gospel music was never created by our ancesstors to be classified as an industry and a means by which performing artists could make money. Mali was correct he should never be classified as a Gospel artist, he is not. He is a performer. The difference is simply this, Gospel music cannot be performed. God gave/gives persons gifts to minster to people, to heal their souls. You either have this gift as a minister of music or you don’t. Just like some preachers out hear go to school and learn how to preach, but they are not called to preach, you have performers out here performing gospel music but they have not been called by God to minister to His people thru music. Thus, comes in the heavy hitter music producers who can package these performers up and market them thru what they call the Gospel music industry cause the R&B and hip-hop music industry sales is going to hell and a waste basket quick. That’s why AKON and Matthew and looking to capitalize off the gospel of music. You see Chile, Church people will by CD’s its proven, many church bookstores have multi millon dollar sales off their church’s cd’s and dvd sales of Sunday Sermons. Make no mistake about it chile, Matthew Knowles and AKON are going to package thse people, (PERFORMERS) up and make millions in the manufactured Gospel Music Industry and in church houses. by taking these artist on the church chitlin circuit. My problem with this is that it is NOT of God, has nothing to do with GOD and everything to do with MONEY! But thank God for God, he still have some soilders. Andre Crouch who beat cancer 4 times and now not well is still marching on . I think Andre’s twin sister Sandra Crouch best described the purpose of being a Minister of Gospel Music, please check this video out when you get a chance. by the way, I read your blog everyday. I absolutely love it! Thanks for the love! I knew you would keep it real and that’s why I love your blog! If only the body of Christ would stand for Christ instead of conforming to the world we would be able to have a greater influence in the world. When we continually dilute the gospel in order to reach more people after a while the real message gets lost. When the world sees how eager we are to be like them how can we influence them to live for Christ? We are saved by grace through faith which is a gift from God (Ephesians 2:8). Gospel music isn’t saving anybody don’t be fooled, having a bigger platform has nothing to do with winning souls for Christ. Its about making more money! Thank you Church Lady for keeping it real.